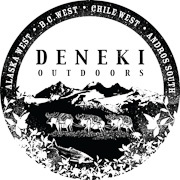 I knew better, I really did, but on Saturday I went to an event so loaded with temptations that I’m still having visions of standing in a river, cutting a fly Line through the air with finesse and catching a steelie with a touch of Mackdaddy style. 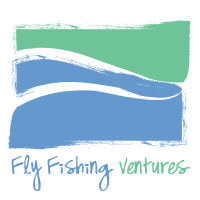 When I received the Spey Clave flier via email from Michael Bantam of Dream Cast Idaho, I wrote back and asked if a non-Spey-ing, simple Fly Fishing gal could come and mingle around. Michael wrote back and said (exact words) “I think you would enjoy it. And you too will become a Spey caster, you just don’t know it yet.” So I added his Spey fishing prophecy to my growing list of ‘your doomed and know it‘ bag and left my credit card at home. When I arrived I was quickly greeted by Michael, so at least I didn’t feel like the ultimate party crasher. I also ran into someone I already knew in the Fly Fishing community, Steve Vance, maker of Scandalous Sticks Fly Rods. Steve was busy at a fly tying table whipping up what I learned was a special breed of fly. The Spey Fly. I instantly wanted one, or two, or a whole box of fancy (not intended for Bass) fluff. Spey flies are beautiful and I could feel the Steelhead vibe radiating from them. Lucky for me, Steve noticed my drooling and gave me two Spey Flies. Cha-ching– score one for the Spey prophecy. Next I wandered down to the Boise River to watch Michael put on a Spey casting demonstration. For the purpose of disclosure, I should mention I had never watched anyone Spey cast before, so I was viewing the process through innocent eyes. And it was mesmerizing. Following the movement of his Spey casting action was a bit like watching the Rhythmic Ribbon gymnastics in the Olympics, (but replace the leotard with waders) by the same flowing twists and curls, turns and swirls of the line. The more I watched, the more I could picture myself standing on the big Clearwater river doing the same thing. Score two for the Spey prophecy. After Michael was done dangling the Spey carrot over my head, he called in the ultimate secret weapon of sealing my Spey fate in the form of the legendary Fly Fishing Guide Mike Kinney. I knew I was watching and listening to fishing greatness the first time Mike said, “Common sense people!” as he was demonstrating the different techniques and possibilities Spey casting offers. I admire tell it like it is people, very much. As Mike talked about things that sounded quite foreign to me, D-Loops, Snap-T’s, anchor points and the general physics of Spey casting, years of fishing wisdom mingled into his demonstration and I wholeheartedly sat at attention. I admit I found comfort in his words because I’ve never been formally, officially or technically shown how to cast in Fly Fishing. I just do it and at times worry I may not be doing things ‘technically right’ however… my casting works for me. 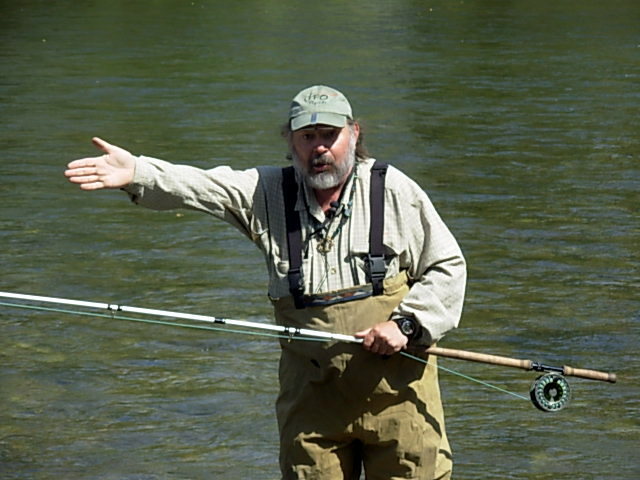 I’d like to believe most people share Mikes wisdom about casting, but something tells me that isn’t the case in the Fly Fishing world. Rebecca, Rebecca, Rebecca…Need I remind you (again) to re-read my warning blog from last year? “If You Don’t Spey, Don’t Start”. Alas I fear it’s too late for you since you’ve already got two flies that must find employment. As I see it you have two choices: Belly up to the bank and get yourself some gear; or send the flies to me. I’ll gladly take them off your hands. With that kind of range, you’ll be “snapping” me off the Illinois River. 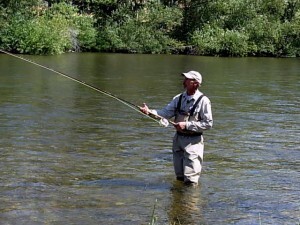 Two and a half hours of Spey casting on the Deschutes last fall and it damn near killed me. If you decide to take up Spey casting, I suspect you’ll do better than me as you are a might younger. 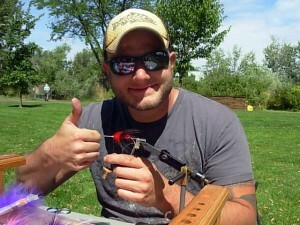 My friend Rick from the Swinging Flies Blog is a Spey caster and he does it for 12 or 14 hours a day. He also covers a lot more of the American than I can with my 9 footer. Be interesting to see if you eat next month. 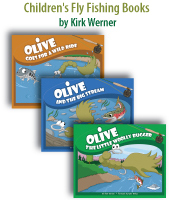 @ Mike ~ Thank you for inspiring a new branch of my Fly Fishing. Someday I hope to head your direction and join you on the river. @Kirk ~ I know, I know! But I’ve got the two flies now. What’s a gal to do? I’m off to read your entry after I post this comment. I have a feeling it’s not going to help my bank account. @Clif ~ LOL. Well I can’t imagine you’d be the sort of fisherman that would try to sneak in below me, so I imagine you would be safe! Hey Rebecca. It was the first time and I would say I was doing it right because I was with a guide and it was his rod. The other guy that was with me in the boat was experienced with his Spey and he didn’t seem to have any trouble. I attribute it to beginning fly fishing, 1/4 again as long as my rod (12ft vs 9ft), 1/3 heavier (6wt vs 9wt ) as my rod, and finally my health which isn’t bad, but not all that good. My problem is that my brain is 35 and my body is 64. One keeps kicking the other and my body usually pays. Rebecca, we’ll get you started off right. Thanks for attending. If you’ve visited my blog recently, you’ll notice that I have recently made my journey to the “dark side” complete. Mike Kinney is (at least in my opinion) one of the best at what he does. He has answered numerous questions for me, and always been forthcoming with any info that I’ve requested from him. He’s a great guy and to get a lesson or 10 from Mike is definitely on my top 10 list of things to do. When I made my entry into spey rod, I decided to start with an Echo Dec Hogan (because I wasn’t willing to sink$1.5k- $2k into a Sage or Winston outfit my first time around). I’m sure any spey outfit would have you gainfully employing those 2 new fluffy spey flies in no time. Unlike Kirk, I say do it! It’s a whole other world, and lemme tell ya, it doesn’t take a whole lot of “power” to put that fly out across the river 100 + ft. Besides that, it’s fun. 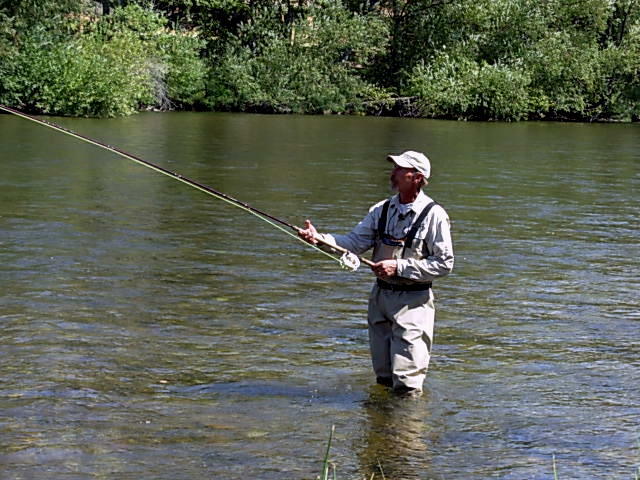 You can use spey techniques on your single hand rods, too, although I’m told that the extra length on a 2-hander can help you get into places and make presentations that you otherwise can’t. Good luck! By the way, I find that if you crack an egg over your ramen and sorta scramble it, it makes for better eats! I had a similar experience with spey not too long ago. For me my first introduction to Spey casting turned into hours spent at the bench tying great new spey patterns and huge intruder styles steelhead flies that would be impossible to cast with a single hander and working on saving up for a new rod, reel and line. Turns out it’s highly addictive.